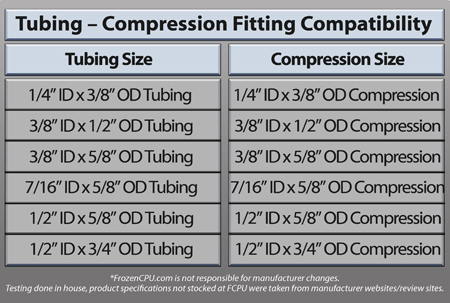 This item is a compression fitting for use with water cooling products. The 1/4" British standard thread with rubber o-ring allows it to screw securely into water cooling components with a tight leak proof seal. The screw connection is designed for use with PVC tubing with an inside diameter of 1/2" and an outside diameter of 5/8". This fitting is, ideal for all other components which include: Eheim pumps, Plug-On Tanks Sm & Lg, Res-Clr, X-Flow water block, Radi-S, Radi-D, and HD-O-Matic.